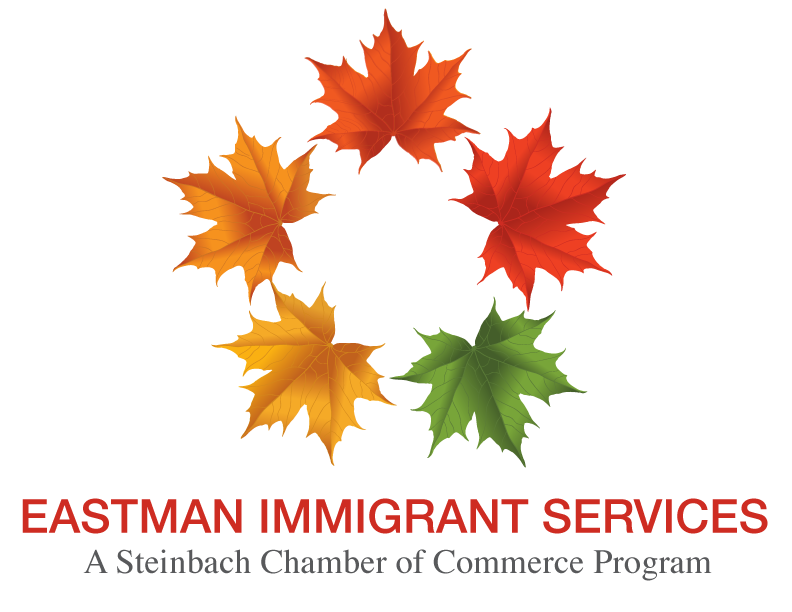 The Business Community of Steinbach Welcomes You! Steinbach's business community is strong, vibrant, diverse and progressive. 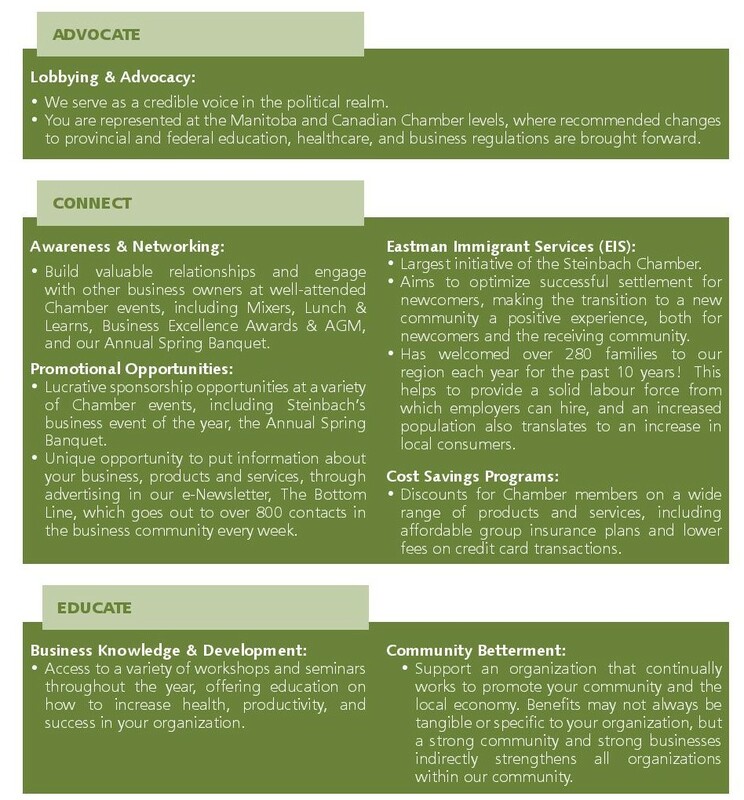 The Steinbach Chamber of Commerce understands the joys and challenges that local businesses face in our community. Consider us your business partner and support as you navigate your path to success. 1. Advocate - We advocate for and alongside your business locally, provincially, and nationally. 2. Connect - We provide opportunities to connect to the resources and networks you need to grow your business, be more profitable, and attain success. 3. Educate - We provide opportunities to participate in first-rate workshops and seminars, as well as other events or programs that strengthen our community. We are passionate about business excellence and about helping businesses succeed in our community. For your business, this may include partaking in our cost saving programs for employee benefit plans and merchant services. Talk to us today about how we can help you be more successful.